At the tail end of Historic Preservation Month is what would have been Richard Stanley Nickel’s 90th birthday, on May 31. 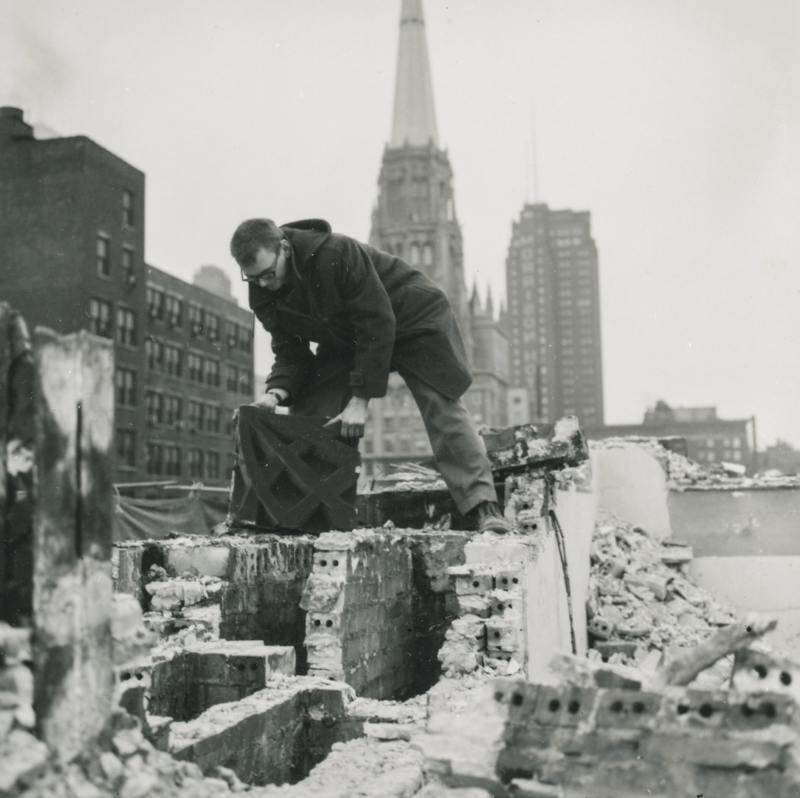 The storied historic preservationist’s legacy still looms large amongst architecture and historic preservation intelligentsia like no other practitioner living or dead. In Chicago, Richard Nickel’s hand seems to guide how the built environment is documented, gives a level of honesty to those that practice architectural salvage, and provides a saint-like martyr for traditional preservationists. No one interfacing with the Chicago School of Architecture–specifically the work of Louis Sullivan–is able to detach themselves from what Richard Nickel wrote or what he saw. Nickel has been studied and dissected in many ways before, but a new organization seeks to take a fresh, objective look at the raw body of his work. Richard Nickel has long been presented as a tireless martyr, a preservationist willing to lay down his life. On April 13, 1972, Nickel left home early to salvage architectural fragments inside the Chicago Stock Exchange, an 1894 structure by Dankmar Adler and Louis Sullivan slated for demolition after a lengthy advocacy campaign. Demolition halted after Nickel didn’t return home that evening. Friends and family continued to search for him for a week, only finding his briefcase and hardhat amongst the rubble. Once demolition resumed, a worker spotted what looked like a human shoulder, two floors beneath the Trading Room, in the Stock Exchange’s sub-basement.